How Does a Gutter Cover Work? Home guttering systems are specifically constructed to collect runoff water that falls onto the roof as rain, snow, or ice. Unfortunately, their open-mouth design also permits solid objects to enter the gutters, such as leaves, twigs, and pine needles. This debris can accumulate to form a clog, which blocks the flow of water through the gutter system. When this happens, the homeowner must remove the debris from the gutters (or hire a contractor to handle this chore). There is a preventive measure that can be taken to prevent this from happening: installing gutter covers on the entire guttering system. Gutter covers provide a barrier to keep solid debris from making its way into the gutters while allowing liquid to flow unimpeded. This allows the water to move to the downspouts and out away from the home. Without gutter covers, the water may pool inside the gutters and spill over the edge – which can lead to eroded landscaping, flooded basements, or foundation damage. 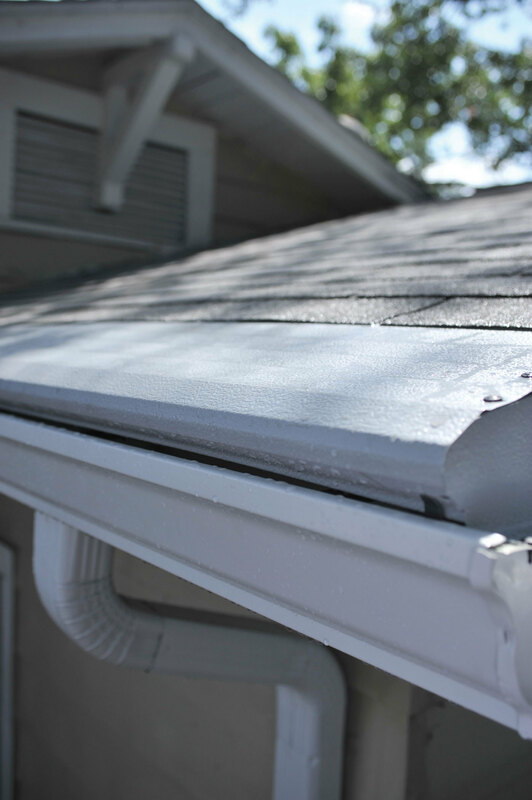 There are several different types of gutter covers on the market today. Some consist of soft metal or plastic mesh that fasten with screws or tape over the mouth of the gutters. Other gutter covers are individual sections made of vinyl or aluminum with slits, holes, or grooves cut into them through which water can pass; these are often pushed underneath the bottom layer of shingles. Finally, there are comprehensive gutter protection systems which are affixed atop the gutters by professional installers. While the mesh or sectioned gutter covers are less expensive and can be purchased by homeowners from home improvement stores, they don’t tend to have a very long lifespan. It’s not uncommon for large leaves or pine needles to become trapped in the mesh openings or the small holes in the sectioned covers. In these instances, runoff water can bypass the gutter completely and slide off over the edge of the roof; much like it would if gutters were clogged with debris. Problems of this nature require the homeowner to get up on a ladder to dislodge the debris. That’s why having a certified contractor install a comprehensive gutter protection system is a wise investment. Homeowners can rest assured that the job will be done correctly by someone who has experience performing this type of home improvement. Among these systems, Gutter Helmet is the most popular option on the market today. Gutter Helmet utilizes what is called a reverse-curve design to keep debris out of gutters. There are no openings in the gutter cover itself; instead, runoff water flows along the surface of the gutter cover and trickles through a slit on the opposite side and into the gutters. 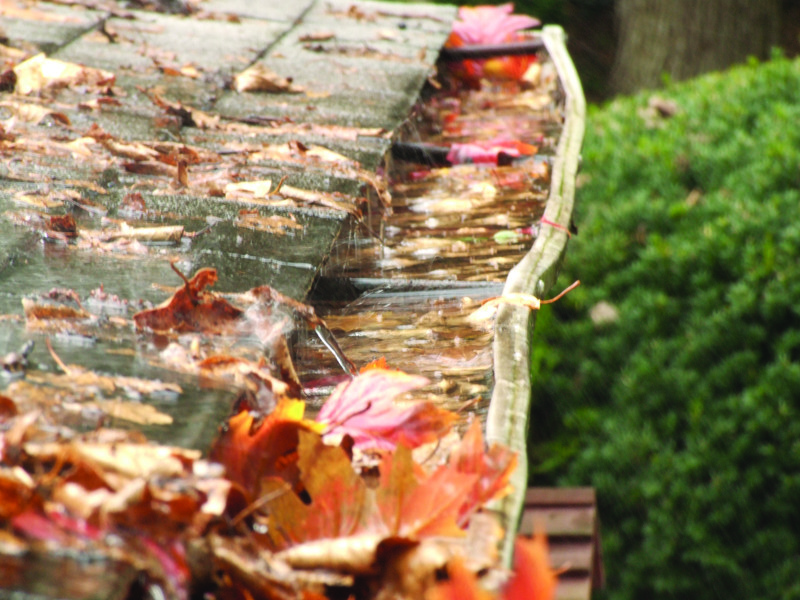 Leaves, twigs, pine needles, and other objects are unable to fit into the slit, so they simply slide off harmlessly onto the ground – without getting caught in any holes in the gutter cover. The best thing about Gutter Helmet is that it comes with a guarantee that homeowners will never have to clean their gutters again. So if your home needs a gutter cover, contact the people of Harry Helmet for a free-in home estimate today. You’ll enjoy the peace of mind of not having to worry about gutter-related problems causing costly damage to your home.